The late Johnny Bristol, who played a central role in Walker’s career, recalled that he would have Motown studio time booked and ready for Jr., “and he would call me from Indiana and say, ‘Look, this guy called me at the last minute and I have to go make this money. 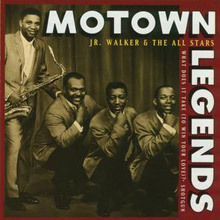 I’ll be there tomorrow, can you set it up for tomorrow?’ We were good friends, I liked him, so it was OK.”Walker and his band were the funkiest hitmakers on the Motown roster. It was no accident that they were assigned to the company’s Soul label when it was unveiled in 1965. Nor was it a surprise when in 1981, Mick Jones, frontman of Anglo/American rock combo Foreigner – seeking some grit for a new song which he and producer Robert “Mutt” Lange were cooking up – knew exactly who to call. So that’s Jr. and his sax blowin’ midway through ‘Urgent,’ a Top Five US hit for Foreigner. Of course, raising the roof was Walker’s raison d’etre. Nothing displays that better than his group’s first couple of big-selling crossover sides: ‘Shotgun,’ which arrested Top Five positions on America’s R&B and pop charts in 1965, and ‘(I’m A) Road Runner’, which claimed Top 20 slots on both sides of the Atlantic the following year. Just as Walker was shaped by great musicians before him, he has influenced others who followed, such as the late Clarence Clemons, whose tempestuous playing was so often given pride of place by Bruce Springsteen. But even though it was his Selmer sax solos and gutbucket vocals which made him the centre of attention in the 1960s, Jr. – like Springsteen – fronted a band. His All Stars included Willie Woods on guitar, Vic Thomas on organ and James Graves on drums, just as his earlier, woodshedding years in South Bend, Indiana, were spent in the company of guitarist Ray Freeman, pianist Fred Paton and drummer Billy “Stix” Nicks. This R&B covers combo became known as the Jumping Jacks, although it was to be a while before they jumped to Motown, and fame. Imagine the El Grotto, 100 miles from Detroit in Battle Creek, Michigan, during the early 1960s – a juke joint so tough that it was known by the locals as the “Bloody Corner,” because someone got thumped there every weekend. And the resident band? Jr.’s men. Bristol and Beavers took singing seriously, which drew them to the attention of Gwen Gordy, sister of Motown founder Berry Gordy Jr. At the time, Gwen and husband Harvey Fuqua ran a couple of small Midwest R&B labels, Tri-Phi and Harvey. Aided by Bristol, it was there that Jr. made his disc debut, with tracks like ‘Brainwasher,’ ‘Twist Lackawanna’ and ‘Cleo’s Mood’ in 1962. But Fuqua didn’t have the resources to stay in business, and sold his assets to his brother-in-law in Detroit the following year – including Jr. Walker & the All Stars. 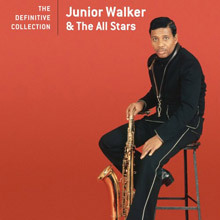 Walker’s opening salvo for the Soul label was an instrumental, ‘Satan’s Blues,’ produced by Mr. Gordy himself, and engineer Lawrence Horn. Today, this dawning of the musician’s recording career can be found on the All Stars’ first album, Shotgun, just as other early Harvey sides can be found on their second, Soul Session. So Motown session cats were instrumental in Jr.’s premier hit, just as Holland/Dozier/Holland deployed studio musicians Jamerson, Messina, Willis, Mike Terry, Norris Patterson and Johnny Griffith on ‘(I’m A) Road Runner.’ This probably didn’t keep Junior awake at night. “I’ve always just been into putting a band together, getting on the road and making some money,” he declared. Walker was willing to be flexible, too. After four years of R&B and pop chart ubiquity with tracks such as ‘Shake And Fingerpop,’ ‘How Sweet It Is (To Be Loved By You)’ and ‘Come See About Me,’ producer Johnny Bristol suggested a change of pace: a song entitled ‘What Does It Take (To Win Your Love),’ which he wrote with Harvey Fuqua and Vernon Bullock. In the summer of ’69, ‘What Does It Take (To Win Your Love)’ proved to be Jr. & the All Stars’ greatest chart success, also putting wind into the sales of its accompanying albums, Home Cookin’ and What Does It Take To Win Your Love. And by way of further validation, the song has since been recorded by the likes of Kenny G, Ronnie Laws, Buddy Miles, Santana and Candy Dulfer. There were still more prettier, warmer hits, including a take on Canadian rock band Guess Who’s ‘These Eyes,’ as well as ‘Do You See My Love (For You Growing)’ and ‘Walk In The Night.’ For a musician who always preferred to be on the road, Jr. recorded prolifically – including his own, self-produced version of ‘Urgent’ in 1983. 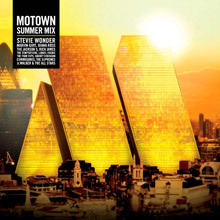 That was on Blow The House Down, his final album for Motown, part of a commendable inventory which also includes A Gasssss (1970), Rainbow Funk and Moody Junior (both 1971), Peace & Understanding Is Hard To Find (1973), Hot Shot (1976), Smooth and Whopper Bopper Show Stopper (both 1977). Yet it’s the grit and guts of Jr.’s first hits which define his place in popular music. It’s an authenticity which sits perfectly well with the more polished output of Berry Gordy’s roster of superstars, but which also mirrors the unadorned soul at the heart of the enterprise – not to mention those bloody nights at the El Grotto. Walker stayed true to those roots, and was still living in Battle Creek when he died of cancer on November 23, 1995, at age 64. Jr. Walker & The All Stars - Motown Legends: What Does It Take (To Win Your Love)? 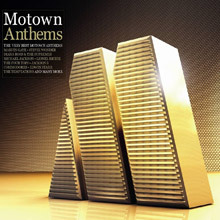 Compilation featuring classic Motown tracks in the mix. 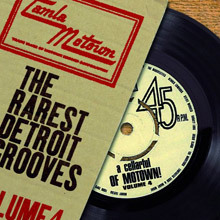 Rare Motown gems from the archives.